Metal is a useful material for many home projects, but its strength can also be a hindrance. You may need to cut a metal rod for a host of applications, and general craft tools may not do the trick. The safest and most consistent method is with a metal hacksaw. Cutting a rod is a good way to learn how to work with metal. The cutting method should work with minor modifications for other metals. Mark the length of your rod with a tape measure and marker. Hook the tape hook over the end of the piece you want to use and make an accurate mark at the exact length you need. Lock the rod in the vise with the cut mark no more than 2 inches from the vise. The closer you work to the vise, the less the rod will vibrate. Spray the cutting area with lubricant. This makes the cut easier and preserves the blade. Line the blade on the side of the mark away from the piece that you want. 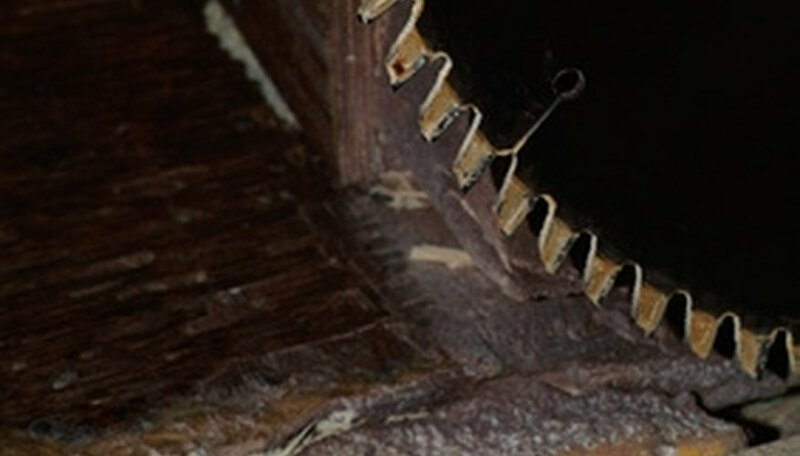 All saw blades have a kerf, or thickness. This is the amount of material they remove. If you cut through the middle of your mark, the piece will be too short. Remember that it is easier to remove material than add it. Pull back on the saw, using both hands. Your dominant hand will be in the handle and the other will be on the top toward the front. Use as little pressure as possible; this step is only to start the cut. Push the saw forward in a smooth stroke. Saw blades, like files, only cut on the forward stroke. Use no pressure when pulling the saw back or you will mess up the cut. Long, even forward strokes will efficiently cut the rod. Your effort should only go into the forward motion; be gentle with downward pressure. Hacksaw blades are inexpensive, so always work with a sharp blade. The tooth count on the blade refers to teeth per inch of blade. The fewer the teeth, the more coarse the saw and the faster it will cut. Finer-tooth blades, or blades with a higher count, are better for softer materials like aluminum and making cleaner cuts. Daniel Wallace started writing professionally in 2007 for "The Main Street Journal." His work has also appeared in "The Metal Museum Newsletter" and the "Anvil's Ring." He holds a Bachelor of Arts in writing seminars from Johns Hopkins University.